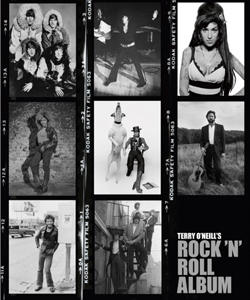 Terry O’Neill is one of the world’s most respected and collected photographers. His widely recognized work can be found in permanent installments of prominent art galleries and private collections throughout the world, and is exhibited in over 30 cities. Some background: Born in 1938 to Irish immigrant parents, O’Neill grew up in the East End of London. His initial ambition was to be a jazz drummer. He played at United States Air Force bases and jazz clubs throughout and around London, eking out a meager living. He then applied for a job as an air steward with the British Overseas Airways Corporation (BOAC; later to be renamed British Airways). He had hoped to use his off-duty spells in New York City to play in clubs. However, BOAC offered him a position in their technical photography department. O’Neill accepted. This would lead him into the photography world that changed his life. When asked if he would have preferred to have made it as a drummer rather than as a photographer, his reply was emphatic: “Oh, no, no”. Shortly after taking the job, in 1960 at the age of 22, he was freelancing with Vogue, Paris Match, Newsweek, Time, Bunt, Vanity Fair and other magazines. Several more would follow. During the early 1960’s, he worked with Patrick Lichfield and Lewis Morley, both of whom helped create images that defined what came to be known as ‘The Swinging 60’s’. O’Neill would go on to photograph a vast number of personalities, including musicians/singers, actors, actresses, political figures, and so on. This book focuses on the musical ones, as can be gleaned from its title. There are too many musical figures to name that O’Neill has photographed, but here are some, in random order: Chuck Berry, Tom Jones, The Who, Bruce Springsteen, David Bowie, Eric Clapton, Elton John, Miles Davis, Charlie Parker, Dizzy Gillespie, Janis Joplin, The Beatles, The Rolling Stones, Elvis, Amy Winehouse, Led Zeppelin and, of course, Frank Sinatra. O’Neill was Sinatra’s personal photographer for over 30 years, and had unprecedented access. O’Neill captured The Beatles, The Rolling Stones, The Animals and other British bands at their very beginnings in the early ‘60’s. O’Neill was also taking photos back stage and of intimate moments of his subjects’ lives. As is key for a photographer and his/her subjects to yield the best results, O’Neill had their trust. Mostly black and white, this 300 page, coffee table style book is the definitive collection of O’Neill’s career spanning musical work. It’s chock full of people on stage and otherwise, and every photo was selected by O’Neill himself. Many of the images were only recently unearthed from O’Neill’s vast archive, and are seen for the first time in this book. ACC Editions of Suffolk, England has published it. Interestingly, of all the photographs he has ever taken, only Miles Davis, Charlie Parker and Dizzy Gillespie hang on the walls of his Battersea, London home. I recommend this fine book be in yours.